My father is from Brazil and my mother is from Italy. Both these cultures have influenced my artwork. I have the love of traditional portraiture and figurative painting as seen in Italy, and love for expressive bright colors and emotions that I found in Brazil. Visual art has always been my favorite and strongest communication tool. I use the figures in the paintings, to tell stories. I attempt to visually communicate and paint connectedness between people. My paintings have sometimes been referred to as friendship paintings. However, I try and go deeper than that by hiding an underlining tension. I like to narrow in on the expressiveness of faces, body posture and gestures. The directions in which the figures eyes are looking, is of interest to me. Minute details are also used to add to the stories. ​ To set the stage for my paintings I use strong lines and bold brush strokes of color. Because of the large scale of the painting, the viewer becomes the unwitting next figure in these works, they become surrounded by larger than life figures staring directly at them or in other directions surrounding them. The viewer may have the feeling of being part of the event that they are looking onto. At the same time, the works convey the feeling of looking onto something where the people are truly themselves. Even if much of the painting is fabricated. Each personality in the painting represents an individual slice of existence in the form of an expression, gesture or behavior. My work is often about connections and crossing the bridge of separateness that we all feel. We inhabit a myriad of different forms that are heavily anchored by so many social conventions and structures, that we often lose sight of the fact that we are all just manifestations of life. In essence, that is precisely what the work is about. The paintings are about being human. People, are the sole inspiration for the paintings. Barolini, D. (2016). 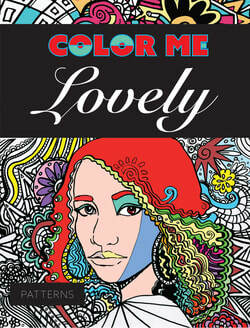 Color me lovely: Coloring Book. Seattle, WA: CreateSpace Independent Publishing Platform.